I was asked if I would like to review some Arbonne beauty products and I love trying out new makeup brands so I couldn't resist. I have never heard of Arbonne before, so I searched on their website to find their products are formulated with potent botanical's, vegan certified, dermatologist tested and clinically proven. The past week, I've tried out the Arbonne Blush in Taffeta, CC Cream, Eyeshadow in Devine Plum and Eyeliner in Plum. I'll link them at the bottom of the review. This is gonna be a long one - but it's worth it, I promise! First of all, I'm going to start with stating that the CC Cream is possibly my favourite thing ever! 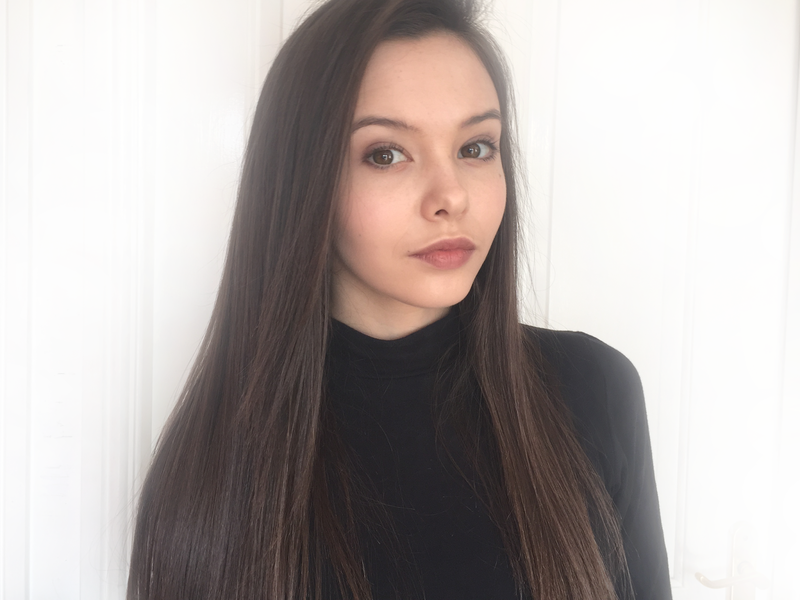 I have been using Bobbi Brown Skin Foundation and Nars Tinted Moisturiser for about 2 years now. 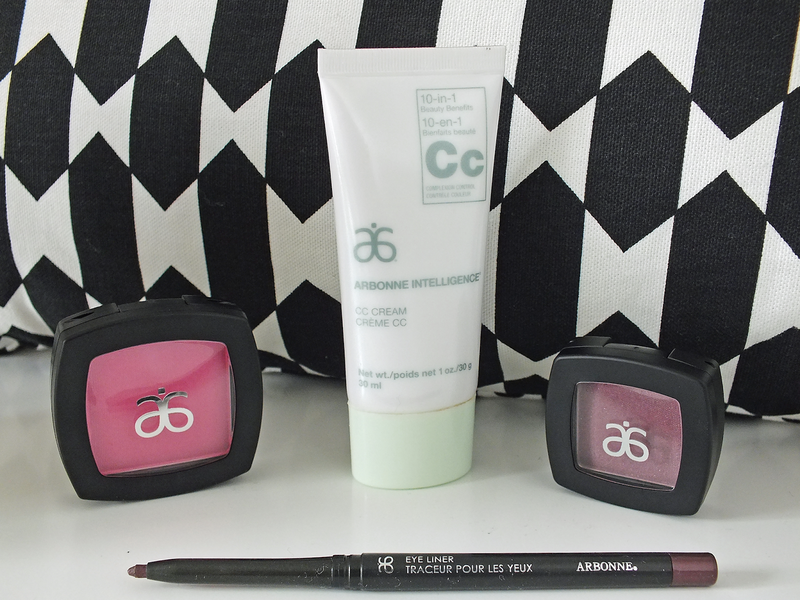 And the Arbonne CC Cream is better than both of them put together (well, in my opinion). 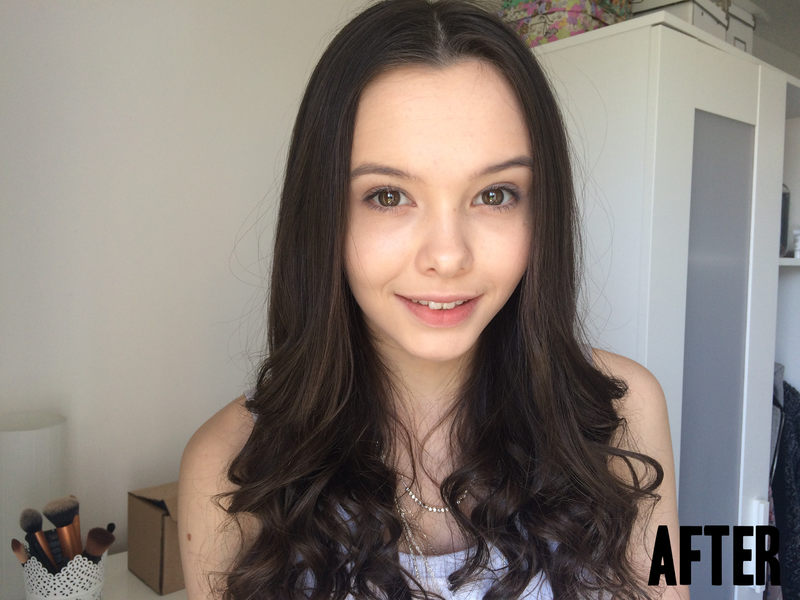 The coverage is amazing, to the point where I don't need concealer, it is also buildable. 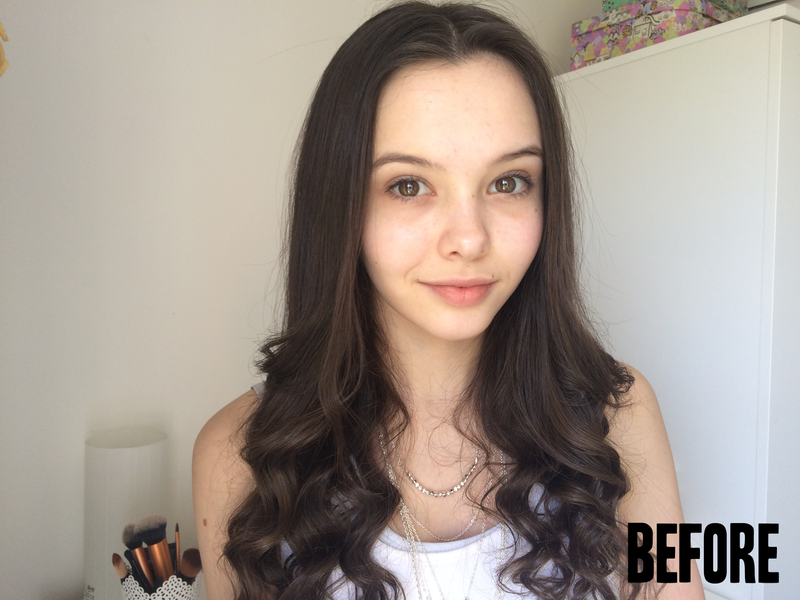 You can make it look natural or build it up for a more flawless look. They claim that the Cream in '10 in 1' a primer, protector, concealer, hydrator, mattifier, brightner, blemish cover, pore refiner, comforter and complexion controller. Isn't all that a mouth full! I can agree and back up all of these though! Except, sometimes I did find that my skin was shiny around my nose and I had to apply powder on top. I feel like this product makes my skin look flawless and I don't know how I can use anything else now. I was worried about it causing break outs and pesky spots because the coverage is so great. However, I've gone a week and my skin looks healthier than normal! Minus, my under-eyes bags. Oops, I really need to stop watching YouTube so late. Now on to the other stuff, the Blush in Taffeta gives a matte rosy cheek. It reminds me of the Mac Blush in Desert Rose that I use already. However, I did find it blended easier and it was really pink when I first applied it so I didn't have to build it up because my skin is very fair. The eyeshadow in Divine Plum is a beautiful purple with a fine shimmer. The quality is amazing and blends easily so it is definitely worth the price. I don't usually wear shimmer eyeshadows. But I found it looked lovely blended in the crease and out corner of my eye. The Eyeliner in Plum also complimented it perfectly, I blended it underneath my water line and it possibly one of my favourite things, and has now been added in to my daily makeup routine. It isn't a exaggerated purple so it looks perfect! All of the products I have mentioned in this review, lasted me all day without reapplying and I love that! I hate having to reapply makeup in college. 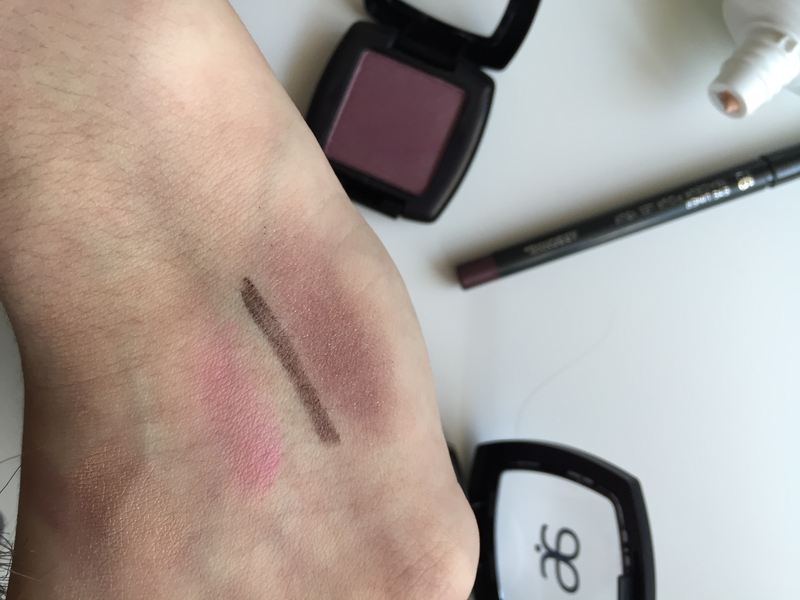 Overall I am really really really really impressed with these products and would put it up their with all the high brands like Mac, Nars, Bobbi Brown. I didn't find anything wrong with the products which obviously means it's a good thing! I would love to look in to their other products next. I really don't want this CC Cream to run out too. 10/10 for this brand! Have you ever tried any Arbonne products before?